STAR wasted little time in making an import change, tapping the services Malcolm Hill in place of Cinmeon Bowers moving forward in the PBA Governors’ Cup. Bowers has underperformed in tune-up games and was so-so in his debut on Sunday night when he registered 15 points, eight boards, five assists, and one block in almost 30 minutes as the locals took over in the Hotshots’ 103-86 win over Blackwater. 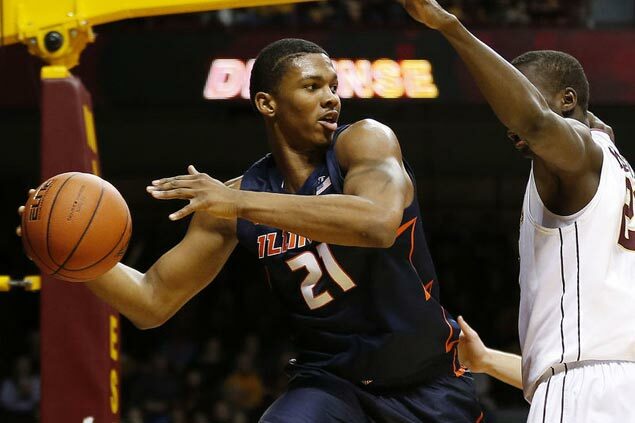 That prompted the switch to the 21-year-old Hill, a former Illinois star who’s set to play in his first professional stint after going undrafted in the recent NBA Draft. Hotshots coach Chito Victolero confirmed the news in a text message on Monday afternoon after the team’s practice. Hill, who has already arrived in the country and linked up with the Hotshots, is expected to make his debut on Friday night against Alaska in Antipolo.